Genser Cona Elder Law is committed to helping Veterans and their families on Long Island. As a means of giving back and expressing our thanks to our Veterans, Genser Cona Elder Law provides pro bono services to Veterans and sponsors a number of programs to honor Veterans throughout the year. The attorneys at Genser Cona Elder Law are among the few attorneys on Long Island to be accredited by the Department of Veterans Affairs for the preparation, presentation and prosecution of claims for Veterans benefits. To date, the attorneys at Genser Cona Elder Law have helped over 500 Veterans and their spouses obtain important pension benefits. Educating Veterans and their families about available benefits, such as the Aid and Attendance pension benefit, is Genser Cona Elder Law’s way of giving back to the military community. We understand the tremendous impact these benefits can have on a Veteran or a Veteran’s spouse’s life. Many Veterans don’t realize that they may be eligible for additional benefits from the Veterans Administration. The Veterans Administration offers many types of benefits, from service connected benefits to low-income pension benefits. Learn more about programs and payments for Veterans. A Veteran may be entitled to compensation as a result of a service-connected disability. Compensation is paid to a service member for an injury or disease that occurred during service or is service-connected. The amount of the compensation is based on the veteran’s disability rating. Disability compensation is not taxable income and there is no asset or income limitation. The Veterans Administration also has a needs-based pension program for low-income veterans. This program is unrelated to service-connected injuries and there is no disability rating requirement. The VA pension program provides payment to a service member who served during a period of war, is disabled and has limited income and resources. The pension amount varies depending on the veteran’s other income. Like disability compensation, VA pension income is not taxable. The Aid and Attendance program is part of the needs-based pension program. Aid and Attendance benefits provide a non-service connected pension benefit for veterans who need assistance with the activities of daily living, such as bathing, feeding, dressing, attending to the wants of nature, adjusting prosthetic devices and/or protecting the veteran from the hazards of his daily environment. A veteran, his/her spouse or a surviving spouse of a veteran can qualify for Aid and Attendance benefits if they reside in an assisted living facility or if they are living at home and require the assistance of another individual, such as a home health care aide. To qualify, the veteran must have had ninety (90) days in service, one (1) day of which must have been during a period of war. Even if the veteran never left the United States, he may still qualify as long as he meets these service requirements. In addition, the veteran must have been discharged under conditions other than dishonorable. The veteran must also qualify financially for Aid and Attendance benefits. The general guideline is that the applicant must have less than $80,000 in resources (not including the primary residence and car). Currently, there is no penalty for asset transfers. As such, with proper planning with the experienced attorneys at Genser Cona Elder Law, a veteran can become financially eligible for the pension benefit. As a need-based pension program, the veteran does not have to have a service connected disability or a disability rating to qualify for Aid and Attendance benefits. However, the veteran must be determined to be permanently and totally disabled at the time of application. A veteran who resides at an assisted living facility may be entitled to aid and attendance if the veteran receives assistance with the activities of daily living. A surviving spouse may be entitled to a veteran’s pension provided she was married to the veteran at the time of the veteran’s death. The veteran must have met all of the above service criteria. There is no age restriction for the widowed spouse. If the surviving spouse remarries after the death of the veteran, eligibility is terminated. Further, the surviving spouse cannot have been divorced from the veteran and must have been married for at least one (1) year prior to the veteran’s death. To be eligible for Aid and Attendance pension benefits, the veteran’s income cannot exceed the maximum annual pension rate (see below). However, monthly income can be reduced by deducting unreimbursed medical expenses, such as the cost of: assisted living; adult day care; group home; rest home; nursing home; in-home attendants; insurance premiums including health, medi-gap and long term care insurance; non-prescription drugs if physician directed; hearing aides; eyeglasses; Depends; Ensure; co-pays, dentures; and therapy. Veterans and their families must be careful of the Medicaid consequences of planning for VA pension benefits. While transfers of assets do not currently incur a penalty period for veterans pension purposes, such transfers will result in a penalty for Medicaid eligibility purposes. 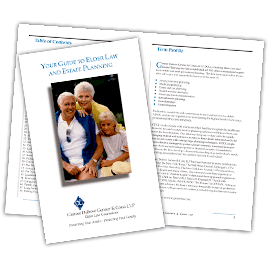 With proper planning with the experienced Elder Law attorneys at Genser Cona Elder Law, Veterans can secure both Veterans benefits and Medicaid benefits. You've honorably served your country with valiant military service and you may be eligible for Veteran's benefits, including Aid and Attendance Pension benefits. Spouses and surviving spouses may also qualify for benefits. The Veteran Benefit New York attorneys at Genser Cona Elder Law are here to provide assistance and guidance. Since 1998, our VA attorneys have fought for Veterans and their families all throughout New York, ensuring Veterans and their spouses receive benefits to which they are entitled.